Each person generates 6-7 litres per year of this type of waste, which is highly pollutant when spilled in the sanitary sewer. As such, it will play a key role in the work that Zamudio will carry out in the Waste4Think project. Waste oil gathering and recycling is vital in the management of household and urban waste. 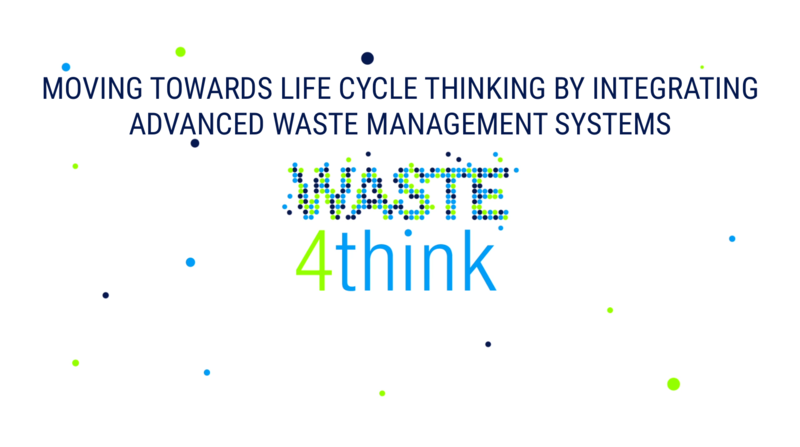 As such, it will play an important role in the work that Zamudio and the Mancomunidad del Txorierri will carry out in the context of the Waste4Think project, in which they will take part for the next three years. The Mancomunidad de Servicios del Txorierri (grouping of municipalities in the valley of Txorierri) has a firm commitment in gathering and reusing household waste vegetable oil. 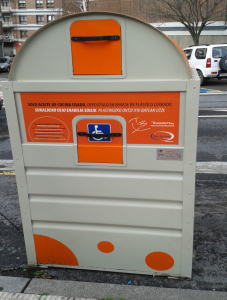 For that purpose, 30 specific bins have long been in place throughout the municipalities, many of which are adapted to be used by people suffering from reduced mobility. In order to make its gathering and storing yet easier, municipalities will now distribute 2 litre tins where citizens can gather and store their household waste oil. Over the next three years, the Mancomunidad del Txorierri and the municipality of Zamudio will work together in the Waste4Think european Project, in the context of which they will seek better systems to manage urban waste. Vegetable oil is precisely vital in the management of household and urban waste: it is a highly polluting substance that is widely used at home. On average, each person generates every year 6-7 litres of used vegetable oil. Just 1 litre of this type of waste can contaminate 40,000 litres of water, the equivalent to the average home annual consumption of one person. Besides, used oil provides nourishment for rodents and makes it easier for their proliferation. And when released on the water environment, it spreads over the surface in a thin layer that prevents water’s self-purification. On the other hand, treatment processes require huge amounts of water. Besides, oil spills through household drainpipes and toilets mean the discarding of a substance that can be transformed and reused in other ways, such as the making of soap and candles, or by their transformation into biofuel –Txorierri’s bet-. The challenge of moving from a “throw-away” society to one that makes the most of resources is a collective one. To embark on it, Mancomunidad del Txorierri’s webpage provides all kinds of information about the locations of bins for oil recycling and of other bins to dispose of and recycle different waste types, as well as about how to make use of them. ← FROM THE 1° OF MAY 2017 BLU CHIP COUNTED FOR PAYT!